This long weekend, my family is heading out on a road trip to Paris of the Prairies to visit friends. I have always loved how Bridget Jones referred to weekend getaways as "mini-breaks," so I'm adopting the term (it's part of my Europe/UK phase, just go with it). My mission to pack as lightly as possible while still looking chic and taking some of my VV Boutique Style love to Saskatoon! This is no easy mission; I'm not a good packer. 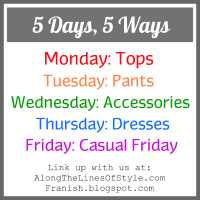 You will know this if you read my Disney vacation "capsule" wardrobe packing post. Not so capsule as it turned out... I can't help it!! I have an awesome thrifted wardrobe and like to wear as much of it as I can! However since hauling around stuff for a family of five is a formidable task, I thought I would make a more concerted effort to keep things minimal. I have an, er, eclectic style and like all kinds of looks in case you haven't noticed. 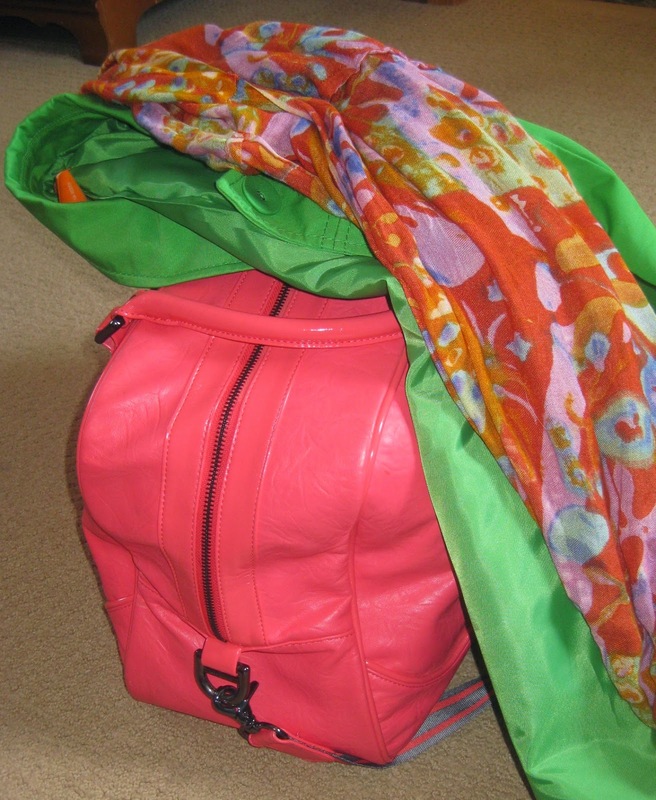 But in order to give the coat center stage, I decided to keep my other packing to classic pieces. I admit it feels a little boring for my mix-not-match inclinations, but I think I will survive. 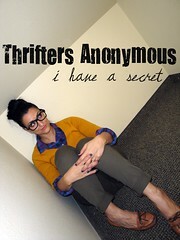 If not, you will likely find me wandering the aisles at the Value Village in Saskatoon; someone bring me a latte. Everything is from VV Boutique unless otherwise noted. I heart thrifting! Er, after I took these shots, I decided to swap out my J Brand for a polka dot skirt in case of nice weather. 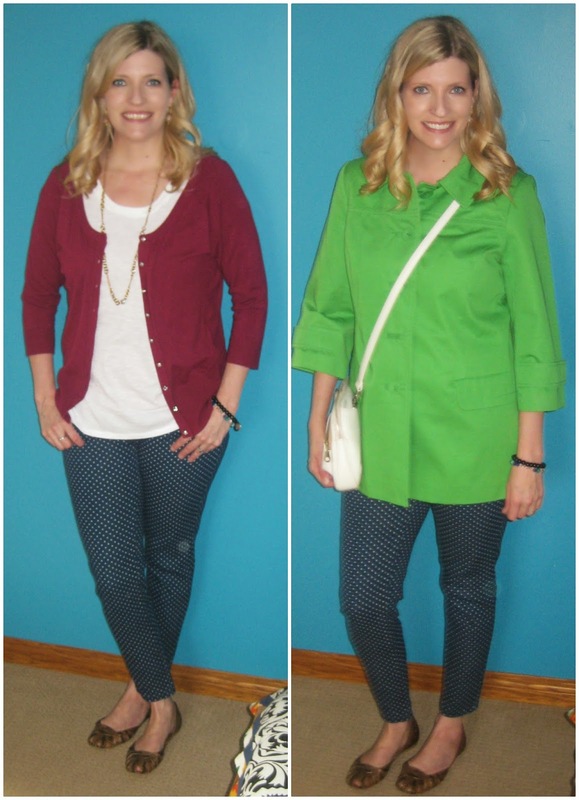 I will just wear these looks with my polka dot pants or the skirt. Remember how yellow pants go with everything? 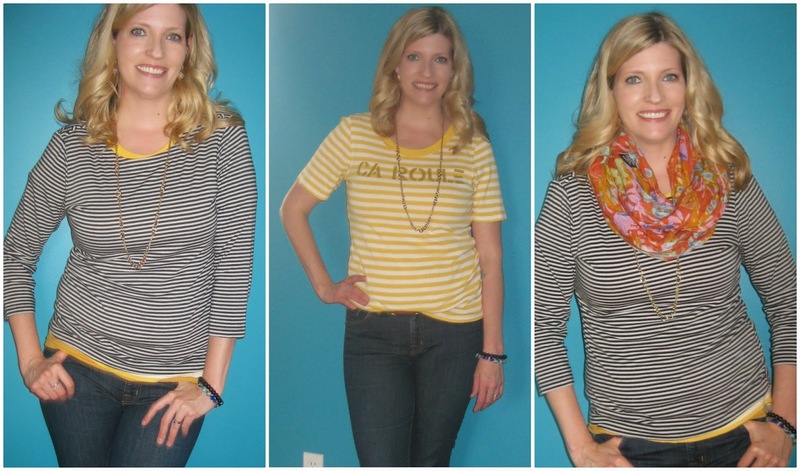 So do yellow stripes! Can't resist a bit of mix-not-match with the polka-dot and faux-snakeskin shoes! Oh, Denim Dress, I knew you were going to be a favourite! 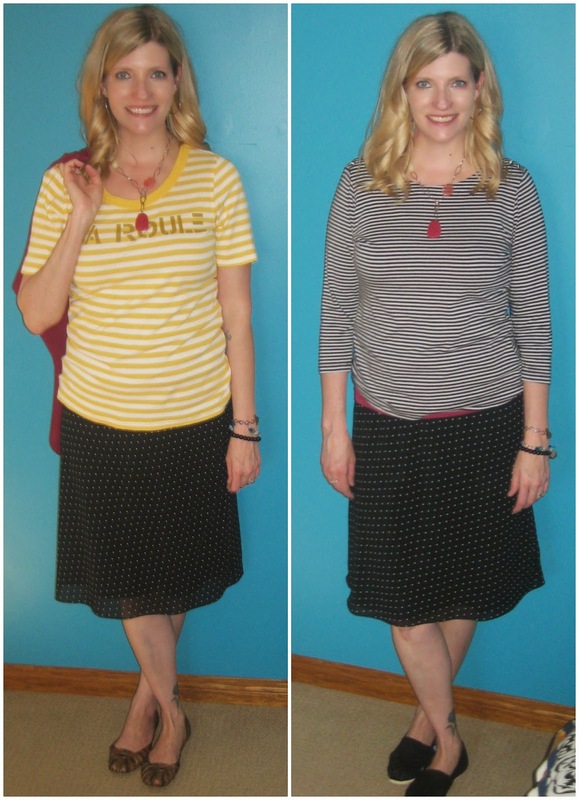 In case it's warm in Paris of the Prairies, I took a light skirt that coordinates with everything else. I wanted to fit everything into one bag (I hate sharing bags BTW, don't mess with mommy's stuff) with enough room for my jammies and toiletries. I'm sorry, you are all my favourites! If I didn't think my friends would make fun of me for changing clothes three times a day, I would bring more. Next time! 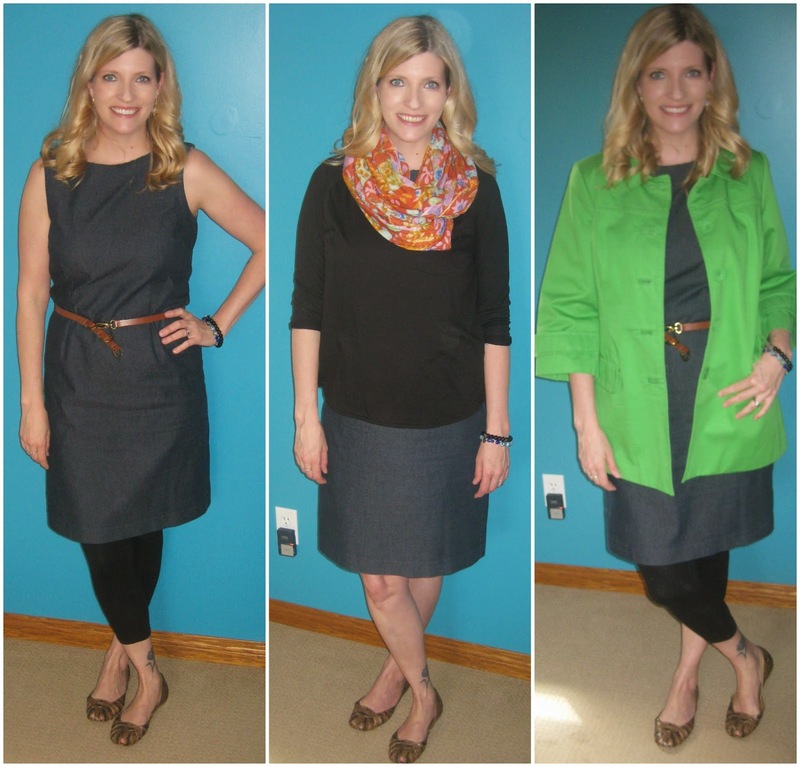 Find my Saskatoon antics on Instagram or Facebook to see how this mini-break wardrobe pans out! Luv the green coat and skinny pants. I myself am a admitted coataholic and have purchased many at VV. Thanks!!! 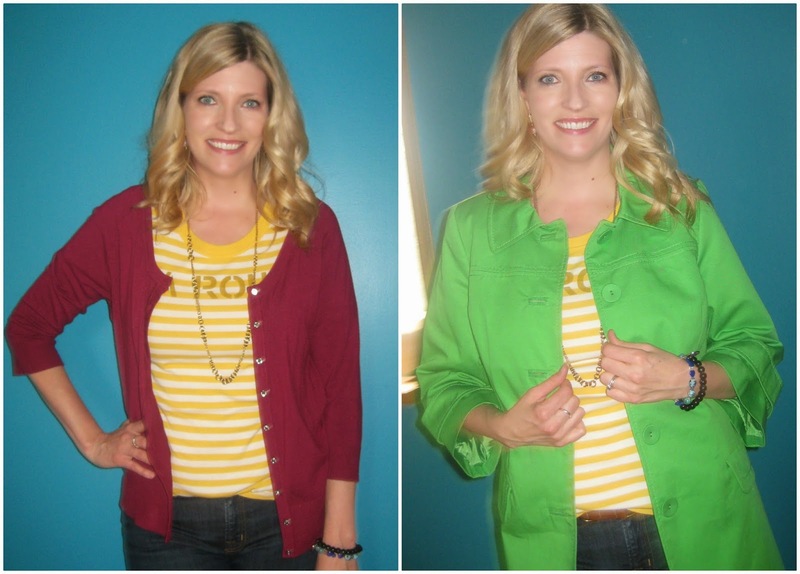 Coataholics like us can explore our ... enthusiasm by thrifting them - well done, Us!! Thanks for reading and stopping by - your comment made my day!